The Philippine Opera Company stages La Bohemein October 2008. The contemporary version of this Giacomo Puccini operawill be helmed by Startalk director Floy Quintos. The Philippine Opera Company (POC) will open its secondopera season in September 2008. For the past nine years, the POC has been thehome of both seasoned and promising opera singers in the country. For 2008, thePhilippine Opera Company celebrates a decade of delivering opera and classicalrelated performances to Filipinos. The theater company's first opera seasontook place in 2006. Founded in 1999, the POC is being managed by classicalsingers who perform at major venues in Manila as well as abroad. It iscommitted to widening the reach of this art form by performing in malls,churches, community centers, parks, and schools as well as in theaters therebymaking opera more accessible to Filipinos. The Philippine Opera Company is committed to developing anew generation of classical singers and audiences, and to develop our ownFilipino style of presenting opera. POC also helps develop opera appreciationamong Filipinos by performing outreach programs for schools, governmentagencies and private corporate organizations throughout the country with thefunding from the outreach arm of POC, Friends of Philippine Opera Foundation. This year, the POC announces an exciting and interestingline-up for its second opera season. It will open with Magic Flute,which is regarded by many as Mozart's most irresistible opera. Magic Fluteis a fantasy masterpiece, which combines animation, black theater, and puppetryperformed by live artists. Magic Flute tells of the handsome princeTamino's quest to find the beautiful Pamina, whose image he has fallen in lovewith. During his search, Taminoencounters some mysterious characters: Pamina's grand but menacing mother, somewatchful guides, a lonely birdcatcher and the forbidding ruler, Sarastro. Withterrifying ordeals to be conquered, Tamino's magic flute may help him, but itis his own strengths that will be key. This will open on September 19-27 at the CCP Little Theaterand will be directed by Kokoy Jimenez, the man behind the longest-runningchildren's educational television program, Batibot. To coincide with the 150th anniversary of Giacomo Puccini'sbirth, his best-loved opera La Boheme will be staged by POC onOctober 3, 4, and 5. 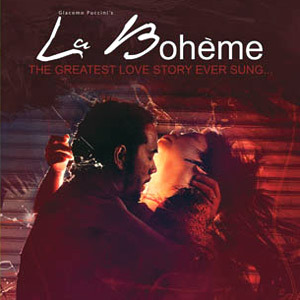 Perhaps more than any other classic opera, La Boheme lendsitself to contemporary interpretation. The time period has been moved from 1830to the 21st century so that contemporary audiences will recognize and relate tothe characters. Startalk director Floy Quintos updates Puccini'stimeless tale in an extraordinary new production, following the stories of acircle of young artists' struggle against poverty and their quest forintegrity. The production will transport La Boheme to amodern-day colony of young independent artists searching for their place in thesun. The tragic love story of Mimi and Rodolfo is juxtaposed against a vibrantand tempestuous indie art scene. Puccini's immortal love story is about thedoomed relationship between the tuberculosis-stricken Mimi and the BohemianRodolfo. The cast is composed of the country's leading as well as newand promising names in the field of opera. La Boheme will be staged atthe Cultural Center of the Philippines' Main Theater and accompanied no less bythe Philippine Philharmonic Orchestra under the baton of internationalconductor, Helen Quach. Magic Flute and La Boheme are co-productionswith the Cultural Center of the Philippines. The 2008 season closes with the re-staging of TerrenceMcNally's Tony Award-winning play, Master Class, about thelegendary opera diva Maria Callas. This moving drama depicts a fictional classconducted by Maria in Juilliard at the end of her career, during which sherecounts her long tumultuous life as opera's grand dame and reveals a rareglimpse into her private life as paramour to the billionaire Aristotle Onassis. Starring Ms. Cherie Gil in the title role of Maria Callas, MasterClass will be directed by theater stalwart Michael Williams. Master Class will run for 10 shows at the Carlos P.Romulo Theater, RCBC Plaza, Makati City on October 9- 12, 17- 19, 23- 25, 8p.m. For tickets, block sales, and sponsorship inquiries,please contact Philippine Opera Company at 892-8786 or Ticket World at891-9999.